Can "Spike" once again correctly predict the upcoming weather? 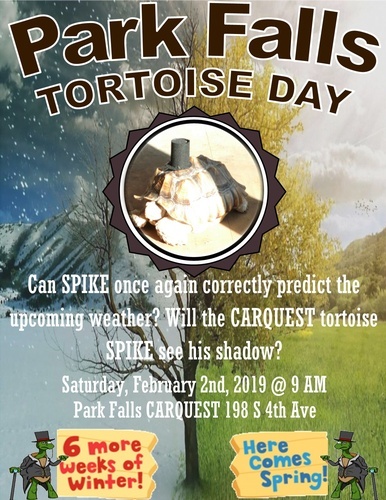 Will the CARQUEST Turtle "SPIKE" see his shadow? Everyone is invited to "SPIKE'S" house for hot chocolate, cider, and coffee. See you at CARQUEST to find out.